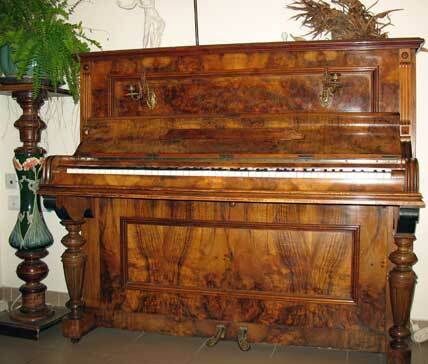 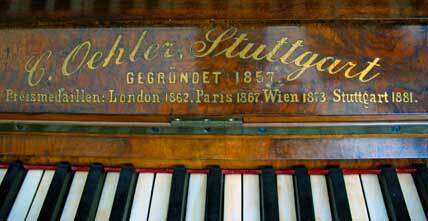 A true collectors item, this antique Biedermeier piano was manufactured in Vienna in the middle of the 19th century. 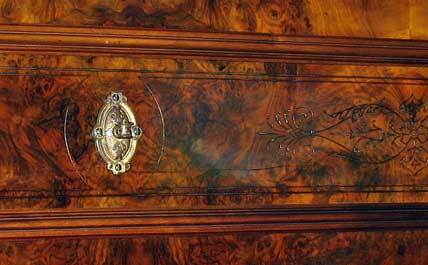 It boasted a beautiful chestnut veneer that had however been broken and that was altogether missing in someplaces. 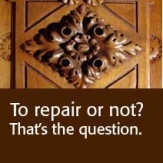 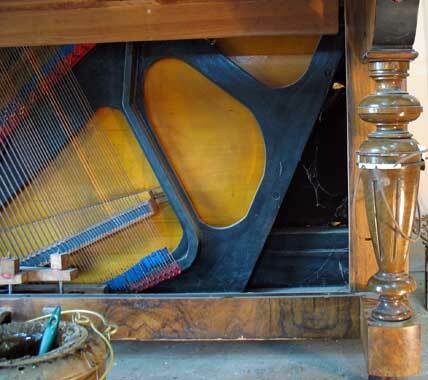 Wooden parts had to be custom-built to replace those that were either missing or irrepairable, and the entire piano required its French polish to be redone.